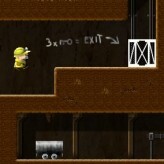 Build what you can imagine and be as creative as you can in this awesome sand box game. Remove and place blocks anywhere you want in Mine Clone! Interact with various creatures from the game and have fun! Mine Clone is a simplified Minecraft “clone” hence the title. 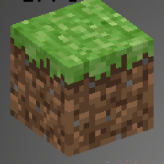 The game doesn’t have many of the features that exist in the real Minecraft game. 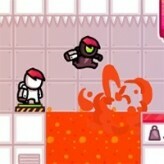 However, the game is completely playable in your browser for free. You will also have all the necessary tools to create, build, and change the world as you see fit. 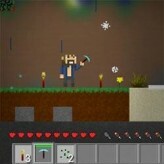 The game also features various neutral and hostile creatures from the game Minecraft which you can attack. If you love Minecraft, but can’t afford it, you can play this game for free and have a taste of the game. There have been 9,190 plays and 194 likes from 243 votes (80%) since 26/12/2016. 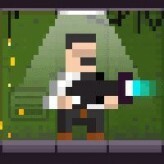 You are currently playing Mine Clone game for free on Arcade Spot. It is a single game out of a variety of games that you can play on Arcade Spot. Play more games like Mine Clone in the Adventure, HTML5, RPG, Simulation, and Unity gaming categories. This game has a rating of 80 out of 100 based on 243 user ratings. If you enjoyed playing the game, give it a thumbs up. Free Online Games and Arcade Games are added every day. Arcade Spot will bring you the best games without downloading and a fun online gaming experience on the internet.